Explore the Best Greencastle Restaurants, Attractions, and More! 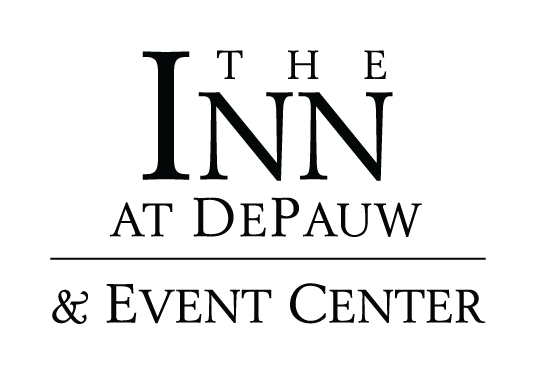 The Inn at DePauw & Event Center is located on the DePauw University campus less than 45 minutes from the Indianapolis International Airport and an easy drive from metropolitan Indianapolis. We are minutes from I-70 in central Indiana and close to many shops, restaurants and area attractions in Putnam County and downtown Greencastle. ​As you visit the nine historic covered bridges located throughout Putnam County, you’ll experience rich history, magnificent scenery, peaceful country roads and small towns with great food, great shopping and wonderful people. Located near Cloverdale, Indiana, Cataract Falls enjoy a scenic overlook of the falls, picnicking and hiking. Here you will see orchids in bloom all year round. From the different shapes to the unusual smells, you'll love walking into this greenhouse. Tap into naturally sweet maple syrup, along with candies, ice cream, cotton candy, and gift baskets. Local history exhibits; hands on toy display and art gallery. Stop by and enjoy years of history. Tapas Bar in the Spanish style. You'll enjoy small, delectable appetizers accompanied by your choice of libation. With acoustic music playing in the background, balmy night breezes and good company all around--what perfection! Book your accommodations for New Students Opening Day! Local artists perform under the stars on the patio outside the Inn's Fluttering Duck Bar & Grill. Food and Drink service is available from the menu of the Fluttering Duck. A variety of musical styles from Country to Jazz to Classic Rock are featured throughout the season. Indiana’s largest festival kicks off on the second Friday in October and features nine days of community events, food festivals, craft shows and more. Cheer on your favorite team at the annual football game between the DePauw University Tigers and the Wabash College Little Giants, a rivalry that began in 1890. Celebrate downtown Greencastle, Indiana by taking in the arts, music, and shopping in our growing downtown district! Live music, Local food, Local vendors! One of the largest 4-H Fairs in the country, this family friendly event features live entertainment, free grandstand shows and competitions, carnival rides, and delicious “fair food”.